RARE FIND IN MOUNTAINS EDGE! 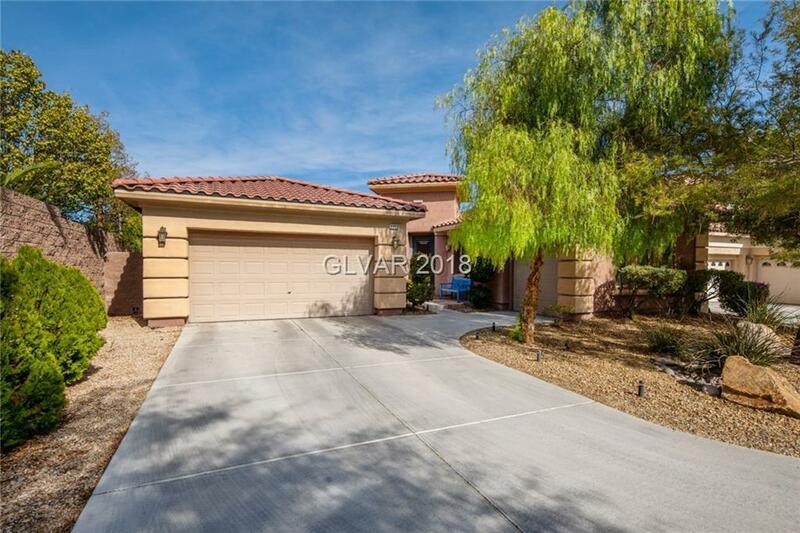 SINGLE STORY, 3 BEDROOMS AND DEN, 3 CAR GARAGE AND A POOL! TASTEFULLY UPGRADED WITH TILE THROUGHOUT, FRENCH DOORS AND DRAPERIES. CUSTOM CLOSETS THROUGHOUT. DEN HAS WOOD FLOORS AND BUILT IN CABINETRY. OPEN FLOORPLAN WITH LARGE FAMILY ROOM, ISLAND IN KITCHEN, SS APPLIANCES, AND GLASS TILE BACKSPLASH. SOLAR HEATED POOL HAS WATER AND FIRE POTS, WATERFALL AND RAISED SPA. ALL THIS AT THE END OF A CUL DE SAC! TRULY TURN KEY! Directions: South On Buffalo From Blue Diamond. West On Mountains Edge Parkway.south On Cane Breeze. West Into Montalano. Right On Wild Calla To Sweet Gale - Last Home In Cul De Sac.